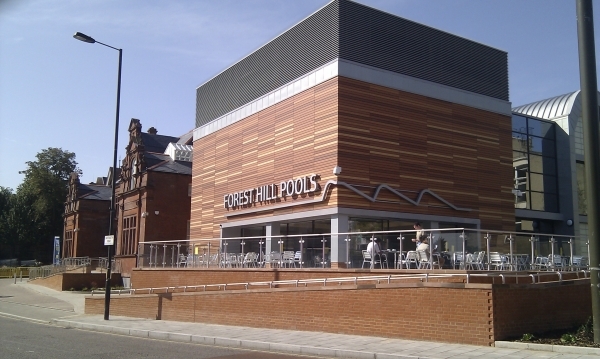 Forest Hill Society: Make Forest Hill Look Good and Have Fun at the Same Time! Make Forest Hill Look Good and Have Fun at the Same Time! Are you a keen gardener? Or, like me, someone who enjoys a bit of light exercise outdoors? 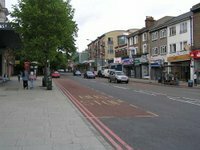 Whichever you are, you are most welcome to join our merry band of volunteers led by Quetta Kaye, who tend the flower beds, tubs and planters at Forest Hill station and on nearby roads. You will enjoy the camaraderie and get a quite sense of satisfaction from seeing Forest Hill burst into colour each spring and summer. You don’t need to be an expert gardener and I am certainly not! A key requirement is enthusiasm as well as a willingness to learn from your mistakes when identifying small plants from weeds! And there is expertise readily to hand if, like me, you need guidance. There isn’t a lot to do if the work is shared among us. Each autumn we meet for a couple of afternoons to tidy up the beds and to plant bulbs for the spring, when there is more planting and weeding to do. And throughout the summer it is necessary to water the flowerbeds and planters especially if, like the recent summer, it is dry for long periods of time. Our aim is sustainability: we look to plant perennials that will return year after year and minimise the need for new planting. The result is there for all to see: bright bulbs in the spring, wildflowers in the summer and different shades of green all year round. ‘Edible High Road’ tubs sponsored by local businesses brighten up the high street while multi-coloured ‘Tyre Tubs’ add a splash of colour to Perry Vale. And every time I’ve been involved there is a “thank you” from passing members of the public and the chance of a cup of tea and a piece of cake from a grateful café or bar owner! For four years now, the Forest Hill Society’s efforts have been judged “Outstanding” in the Royal Horticultural Society’s annual awards. If you would like to help us keep up what is now a proud tradition, please contact Quetta Kaye at quetta@fhsoc.com or keep an eye on our website and newsletters for the next gardening party.